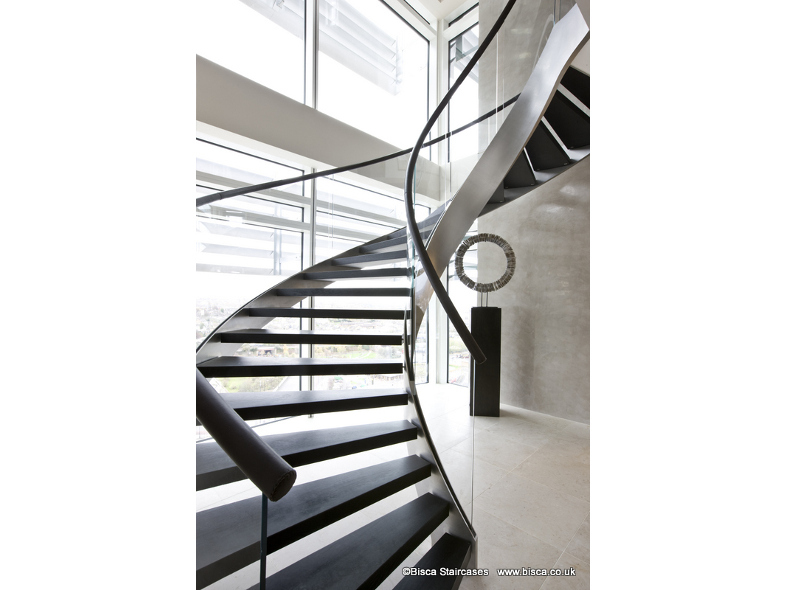 This was an interesting project, not least because we had to crane the staircase into a penthouse building through a window on the 16th floor during the construction phase. 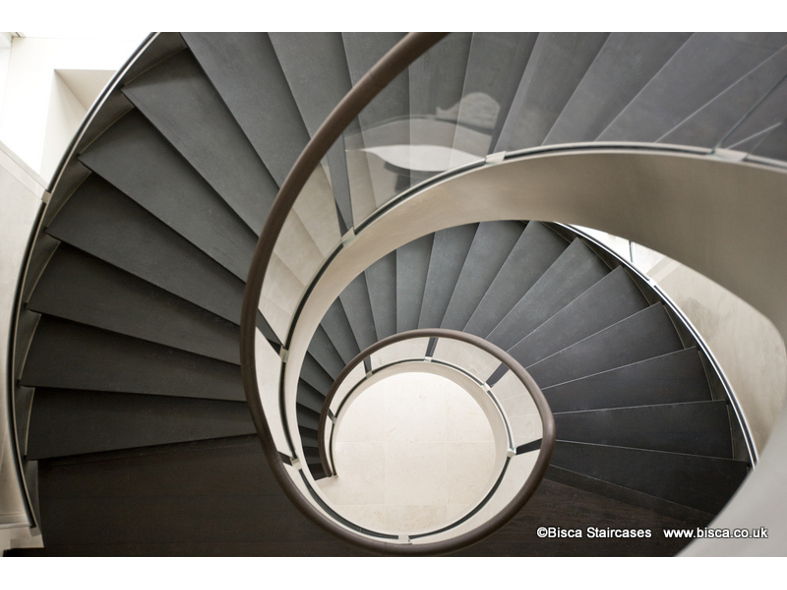 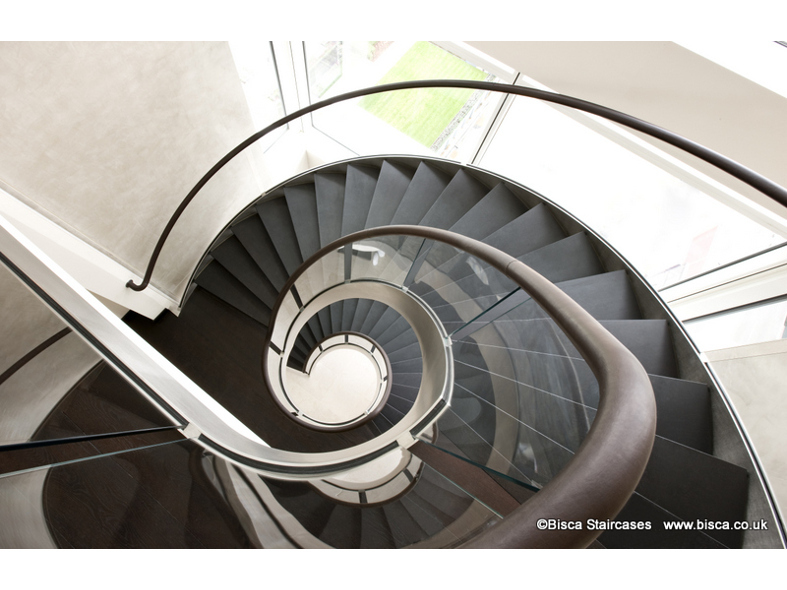 The helical staircase design is of American dark Walnut, stainless steel and glass. 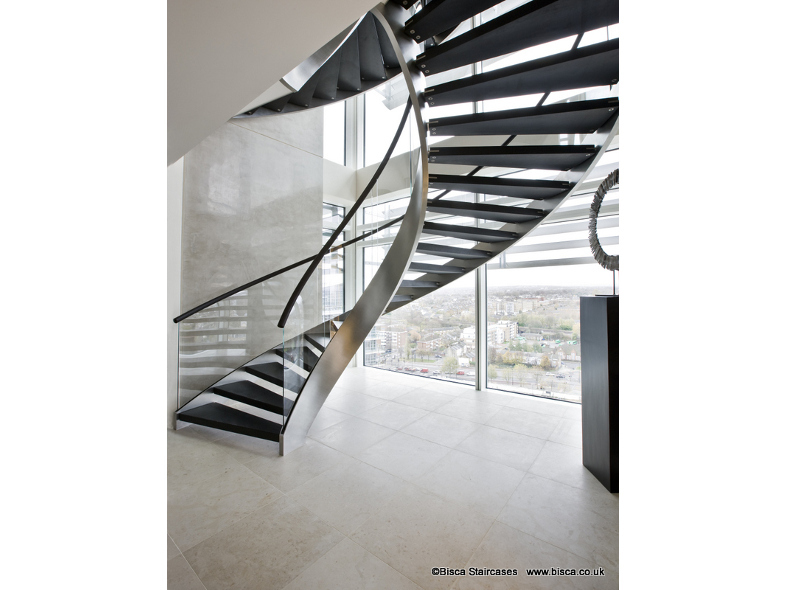 Sweeping majestically through the levels of the apartment, the curved glass balustrade and hand stitched leather handrail are perfectly picked out by the light flooding through from floor to ceiling windows - with a view over the City of London.